Can mindfulness promote the well-being of diabetics? A recent study evaluated the effects of mindfulness-based interventions on the quality of life and metabolic control in patients with diabetes. Diabetes is a severe health problem that affects an increasing percentage of our population. In the United States, approximately 29 million people are affected by type 1 and type 2 diabetes, and around 90% are suffering from type 2 diabetes mellitus. Type 2 diabetes develops most often in adulthood and is attributed to the reduced efficiency of the body in producing insulin. Type 1 diabetes often begins in childhood and is a result of the body’s inability to produce insulin. Type 2 diabetes, however, is particularly costly and is estimated to have produced US$245 billion in medical expenditures in 2012 alone. Additionally, it is estimated that in 2010 there were over 69,000 mortalities directly resulting from this disease, a figure that is likely underreported. The treatment of diabetes mellitus is often very cumbersome, involving several daily medications and injections, the frequent monitoring of blood-sugar levels, as well as physical exercises and dietary changes. Such therapies may take a strong toll on an individual’s psychological well-being. There is the possibility of developing negative thoughts such as “I am sick” or “It’s too hard to comply with this treatment”. These are thought to arise from what’s called diabetes-related-distress. Diabetes-related distress is an emotional and cognitive aversion to the disease, giving rise to feelings of anger, depression, worries, all of which reduce the likelihood of a patient’s adherence to the treatment regimens. Adherence is indeed one of the most problematic areas in the treatment of diabetes. Thus, there is a strong need to help patients accept, control, and maintain their therapy, without succumbing to the negative beliefs and distress. Mindfulness-based interventions are known to help patients with a wide range of afflictions. The most prominent strength of mindfulness treatments is the training in acceptance of the difficult emotions, and adherence to adaptive behaviors in the face of such challenges. As such, mindfulness-based interventions were proposed as a promising treatment to counteract the negative cognitive and emotional problems that arise with diabetes-related-distress. Mindfulness is a state of mind, whereby one is able to maintain present-moment awareness without judgmental thinking. 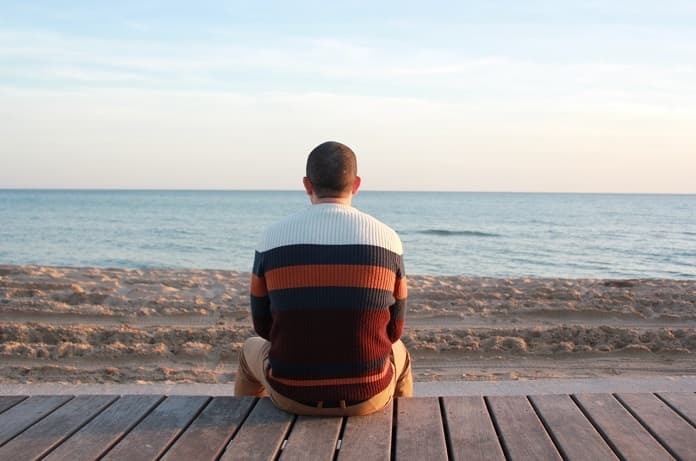 In the context of diabetes-related tribulations, mindfulness is hypothesized to help patients engage in the proper treatment necessities while distancing themselves from the aforementioned negative thoughts and emotions. It is as though one learns to be able to view their emotions and cognitive processes from a third-person view, thus obtaining the ‘choice’ of whether or not to act upon them. As published in Behavioral Medicine, a team of researchers analyzed 14 different studies which involved mindfulness-based interventions on a diabetic population. The treatments were mindfulness-based stress reduction, mindfulness-based cognitive therapy, mindfulness meditation with or without an education component, acceptance and commitment therapy, mindfulness stress reduction in diabetes education, and mindfulness-based eating awareness training. Although these treatments are wide and varied, the mindfulness component is strongly prominent across all of the above and is thus possible to compare them. Unfortunately, the researchers were unable to find any strong evidence in terms of quality-of-life, diabetes-related-distress, or metabolic control including adherence to medical regimens. This can be attributed to either the small number of studies as well as the short lengths of treatment and follow-up of eight weeks and five months, respectively. Nonetheless, several findings were of moderate or small strength, and are worth mentioning. First, the overall effect size when comparing control and treatment groups was moderate in the quality-of-life variable. This is quite expected, as mentioned earlier since mindfulness treatments usually decrease the effect negative experiences, emotions, and cognitions have on the patient. However, at follow-up these effects seemed to dissipate, pertaining again to the short-period of treatment. Diabetes-related-distress has been found to moderately reduce from pretreatment to post-treatment. Physiological well-being showed a small improvement between pretreatment and post-treatment. As mindfulness helps the patient experience negative cognitions and emotions, the patient becomes more accustomed to them and is likely to respond more lightly to them. Therefore, the distress will be reduced, and it follows that everyday behaviors will require less effort. In turn, it was hypothesized that physiological well-being will benefit, however, it was not so in the case of this study. When comparing metabolic control, the researchers used measures of A1c, which is a blood test for sugar. The results have shown little promise, but the researchers note that in order to engrain newly formed habits, the patient must be given ample treatment time. The abovementioned treatment may have been too short to guide patients towards these changes. Specifically, for A1c-related changes, there needs to be a six to eight weeks’ interval for treatment effects to show. Future research should focus on larger sample sizes and increased the length of both treatment and follow-up. Furthermore, the researchers cite the acceptance and commitment therapy as being especially noteworthy. This study had the largest effect size on A1c measures, perhaps due to the emphasis on the development of self-care adaptive behaviors, above and beyond mindfulness exercises. However, this is only one such study, and other studies need to be conducted to replicate these results. Nevertheless, there is a moderate promise that mindfulness could be a beneficial additive treatment to patients with diabetes mellitus. Through helping the patients control their emotions and cognitions, the patients can develop adaptive behaviors which will lead to overall health improvements.